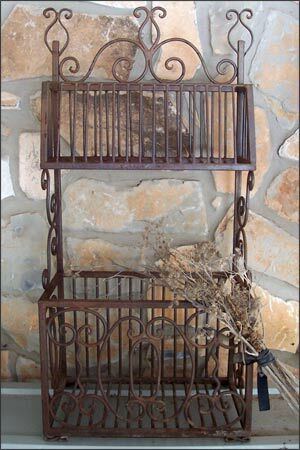 This Great Wrought Iron Bin (actually two bins) is Fashioned as a Standing Shelf, or Could be Hung with the Adequate Support. 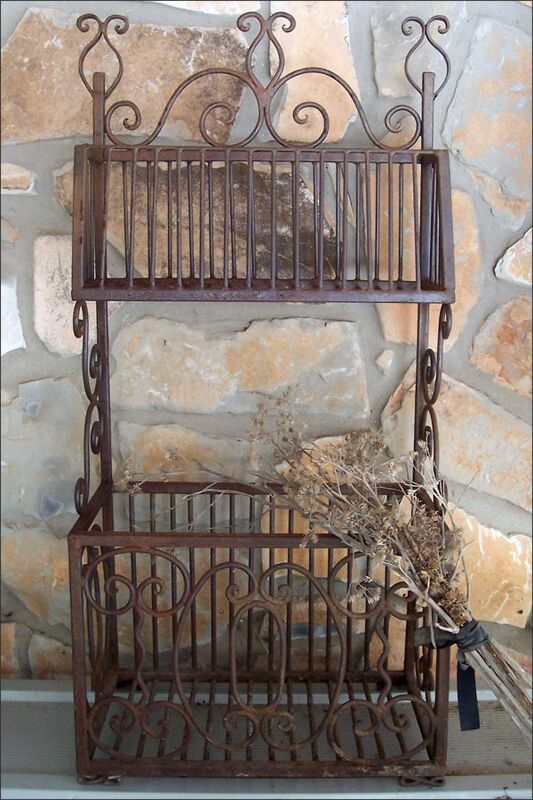 I See This Sturdy, Cool Piece in a Pantry to Hold Potatoes and Onions, a Garden Shed for Bulbs, Herbs, Seed Packets, or Hand Garden Tools, and Atop a Massive Wood Desk as a File and Caddy. 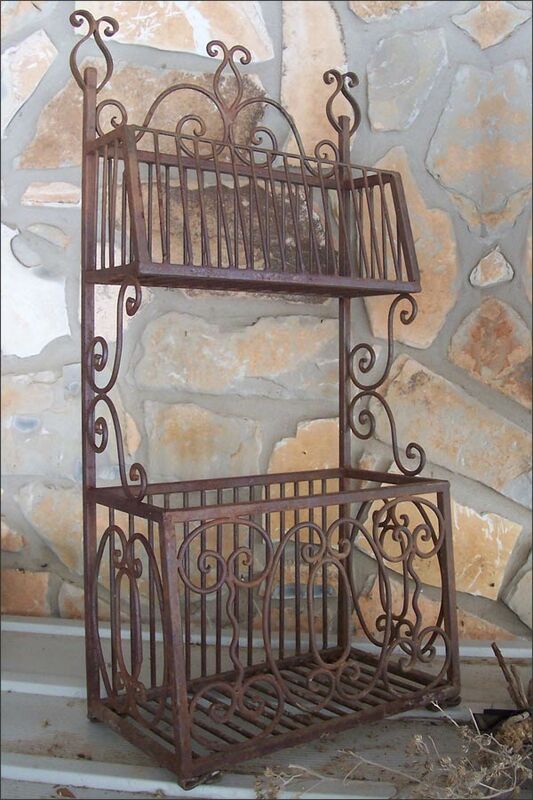 This Beautifully Constructed Metal Bin Has Moorish - Spanish - Mediterranean Flavor with its Scroll Work.... Great Against a Plastered or Southwest Adobe Wall.